With spring upon us, there’s no better time for a little design spruce up of your home. Updating your bathroom can make all the difference. Take the time to create your own personal spa oasis, and turn bath time into a beautiful ritualistic experience. 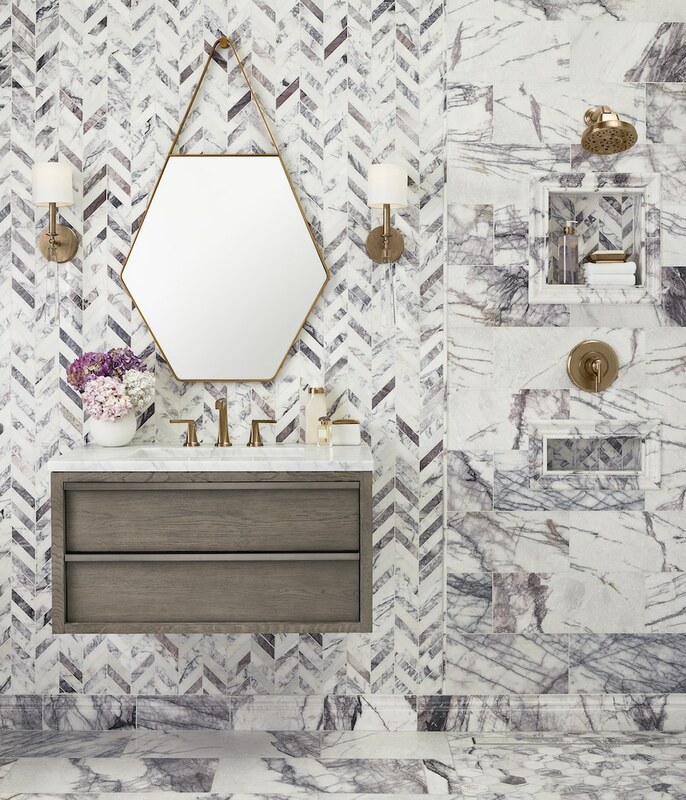 Excitingly, there are some amazing new bathroom design trends on the horizon. Easy aesthetic fixes to elevate your space can breathe new life into a home, and don’t be afraid to think outside the box. Whites and neutrals remain popular but many people want their bathroom design to stand out from the crowd. If you’re afraid of going too bold with your tile color, colorfully painted cabinets can be a great way to add wow factor to your space! 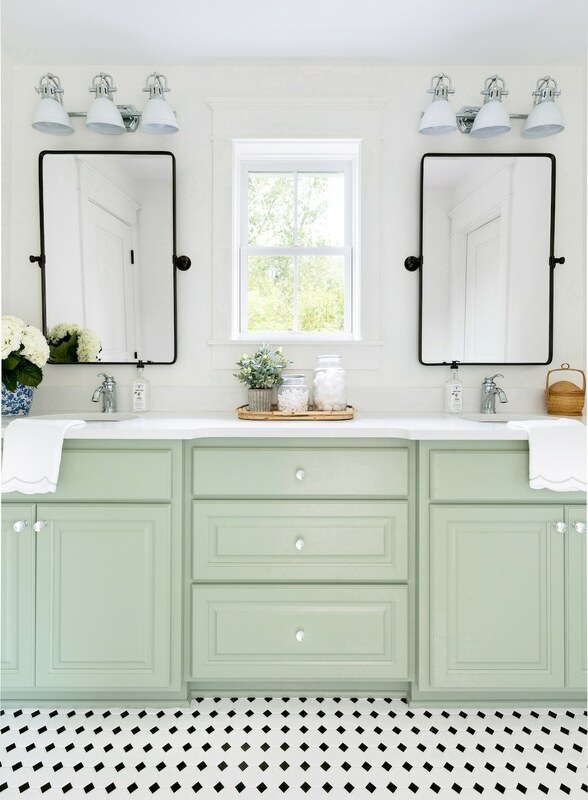 Choose to coordinate or contrast the painted cabinetry color with your tile depending on the desired effect. Bright and bold colors make a fun, cheery statement. You can also bring out an accent color in your tile. Don’t forget, soft colors create a soothing, spa-like atmosphere, perfect for when you’re relaxing in the shower or tub! In the mood for something a bit more out there? Similar to adding a pop of color with cabinetry, you can also choose to do this with walls. This is especially effective in small powder rooms where you can be more adventurous. Go for a bold blue or even pink! Brightly colored walls and bold patterns can be an easy way to infuse fun into your home. The days of coordinating all of the metals and finishes from top to bottom are done! 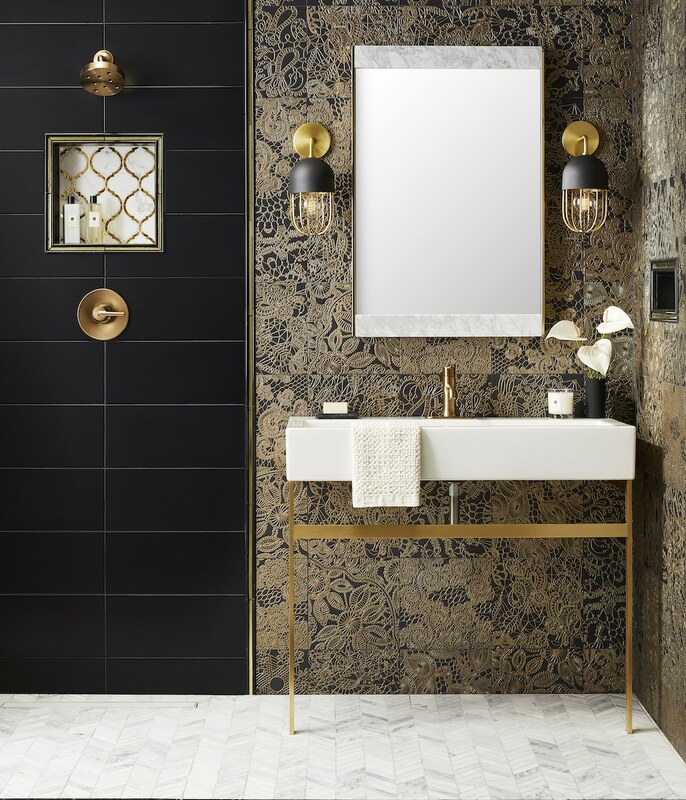 Now it’s modern and fresh to have mixed metals, especially in a bathroom. One way to play in this trend is to match most of the fixtures except one, allowing it to stand out. You can also mix different metals that are not right next to each other but fit the same general style. 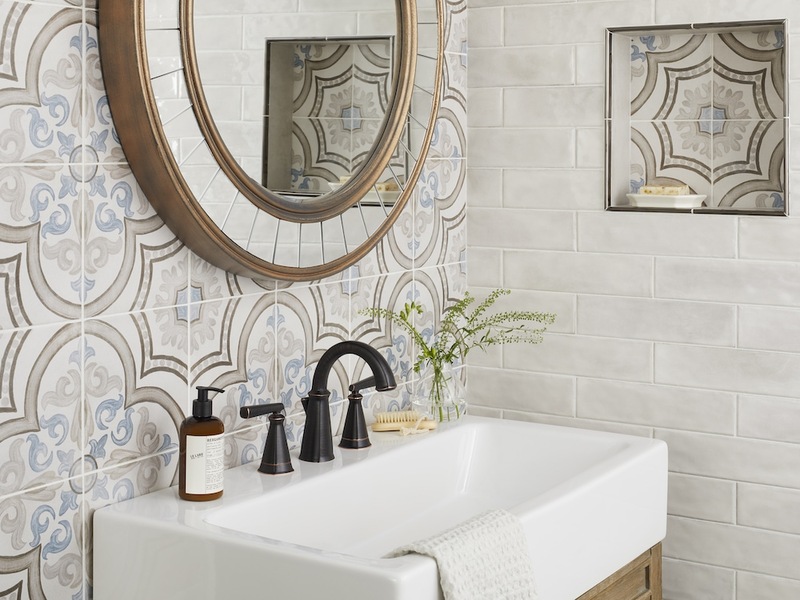 If you have a more traditional bathroom, you can easily update the look with modern finishes! A chic and modern trend is black matte. This finish is a modern way to add the touch of black that every room needs. The great thing about this trend is that it works in neutral spaces to add contrast or in eclectic spaces as neutral with other black elements. Consider coordinating all your fixtures in matte black, or create contrast in an all-white or neutral space. Sculptural elements are meant to be aesthetically pleasing to the eye and serve as works of art on their own. 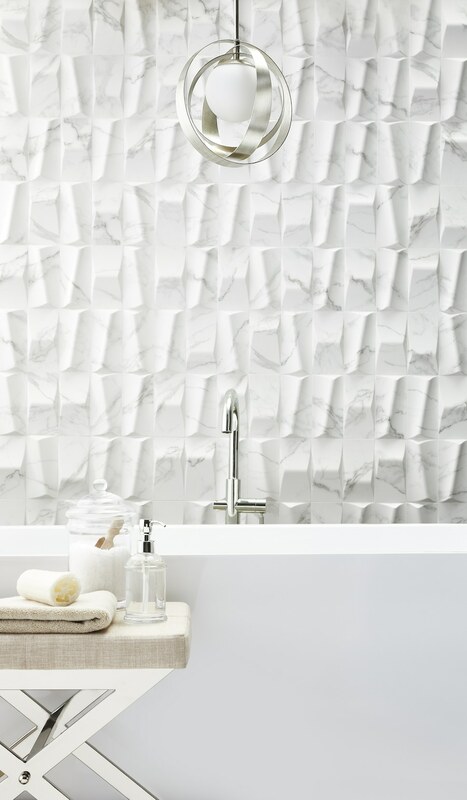 Sculptural tiles are particularly trendy, offering depth and interest to walls, and allowing you to create works of art without opting for a bright or bold color. 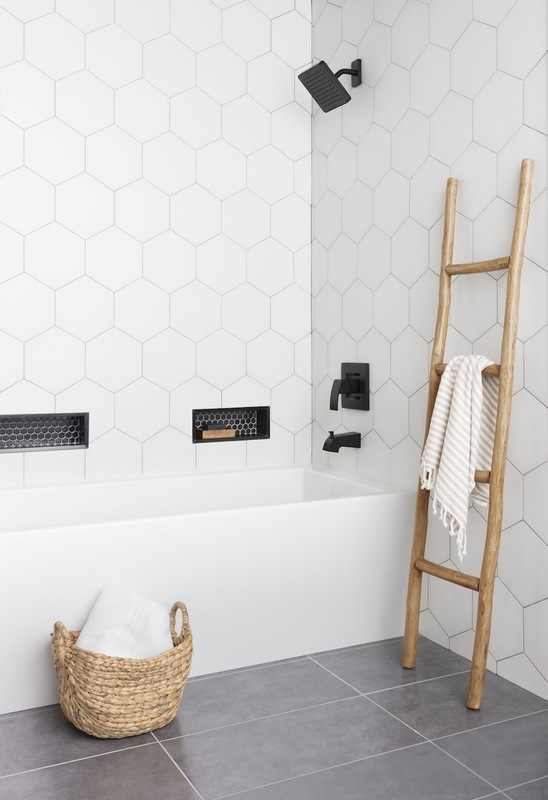 You can subtly update a space by incorporating sculptural elements like tubs and sinks, or even use 3D wall tile. Hot tip: have one stand-out feature, like a lighting fixture, serve as a statement, to wow yourself or your guests every time they step in the room. When in doubt, listen to yourself! The aim is to create a space that feels like your own, regardless of the trend! Don’t be afraid to put your own personal spin on things. If it’s a design or a space you love, then it’s the perfect one for you. For fun ways to play, think of using a unique colored stone or marble, or mixing different shapes and pattern. Consider making your own design with colorful tile, unique pattern layouts or mix-and-match shapes. Choose a trend and go all in, like a floor-to-ceiling glam look. Remember, design is supposed to be fun!